While applying for a personal loan, the bank will examine if you are really worthy of the loan and have the ability to repay the debt on time without missing the payments. One foolproof way to check this will be to check your CIBIL score. A good CIBIL score means that you have repaid all your past EMIs and liabilities on time without any instances of nonpayment or delayed payment. This score gives a clean chit about your financial management skills. The score is a collective data of your repayments of Personal Loans, home loans, vehicle loans and credit cards payments. The applicant is assigned a number between 300 and 900 which is given as a result of the information given by banks to CIBIL. 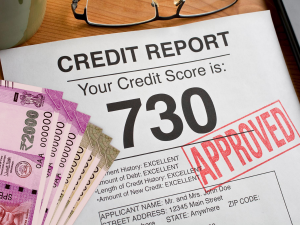 If you are up-to-date and all your payments are done on time, you obviously get a good score. 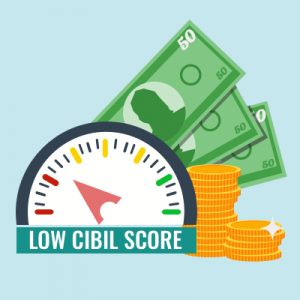 Every payment default or delay leads to a low CIBIL score. If you are interested in getting a personal loan even with low credit scores, you need to put in concrete effort. Let’s look at how this challenging need can be achieved. How to get a personal loan with low credit or CIBIL score? The usual interest rates vary between 11% and 22%. However, you can negotiate a higher rate of interest with the lender in case your credit standing isn’t strong enough. Though banks may reject loans based on poor credit score, peer-to-peer (P2P) lending may consider your case. With this new avenue, it becomes less challenging to obtain unsecured loans. They look at other qualitative aspects like your education, financial behaviour, and future prospects of managing finance smartly. Some Non- Banking Financial institutions (NBFCs) would consider your case if you augment your loan requirement with a collateral. If you need cash even with low credit scores, then you can look at alternatives like gold loans or loans against property. Though they aren’t unsecured, if you have these assets lying around then you can utilize them to generate extra cash. Thankfully, the influx of technology within the financial sector means that newer avenues of lending have opened up for people today eg. Fintech companies and apps like Money View. 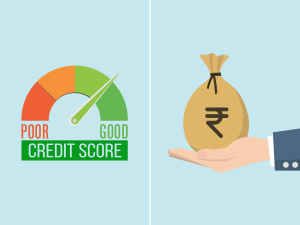 The best way to procure a loan is to maintain a good CIBIL score. But, if your credit score is low, i.e. below 700 points, the above mentioned guidelines will help. A good fintech company like Money View will recommend that in addition to trying out the above steps, it is also advisable to improve your credit score. It takes time to build a series of positive payments that take your CIBIL score to a much healthier level. This may take anywhere between 8 months to a couple of years depending on your present score. However, this will happen only when you start today.